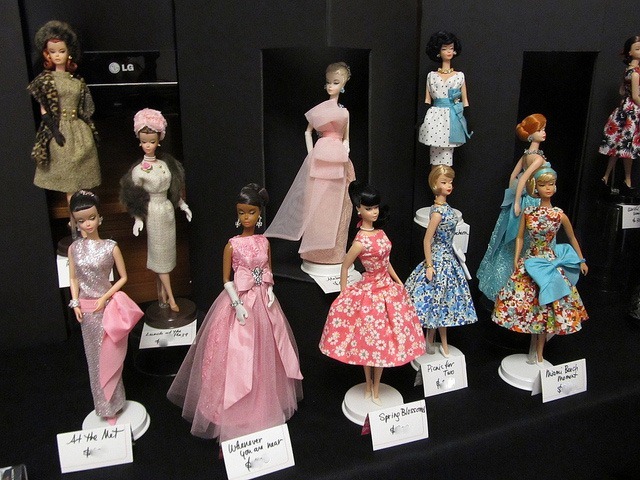 Perhaps one of the most enjoyable things about Barbie convention for me and many others is the room shopping experience. 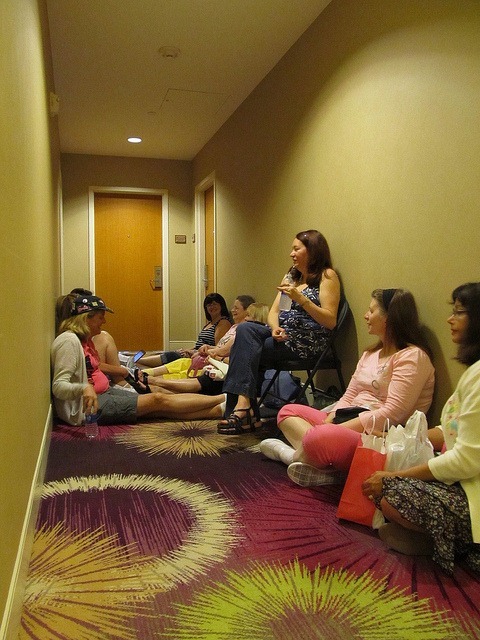 Many sellers will set up wares in their room days before the official convention starts and many many collectors will come early just to shop the room sales. You might think that people come for the deals to be found and the shopping. 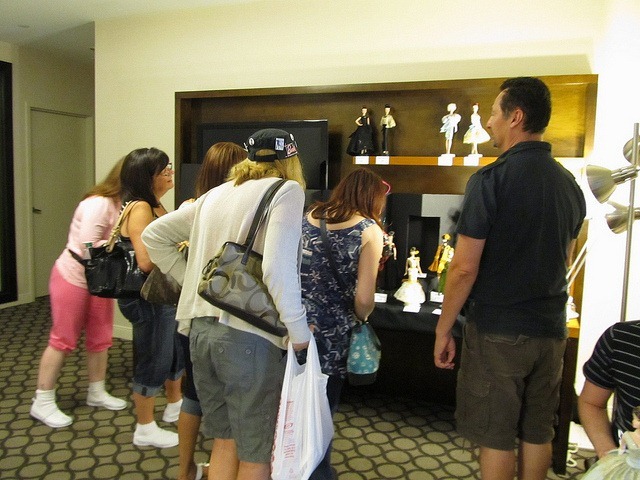 I believe that many come for the social aspect of room shopping as well. This is a time where you meet new fellow enthusiast friends and reconnect with the ones you have made in the past. 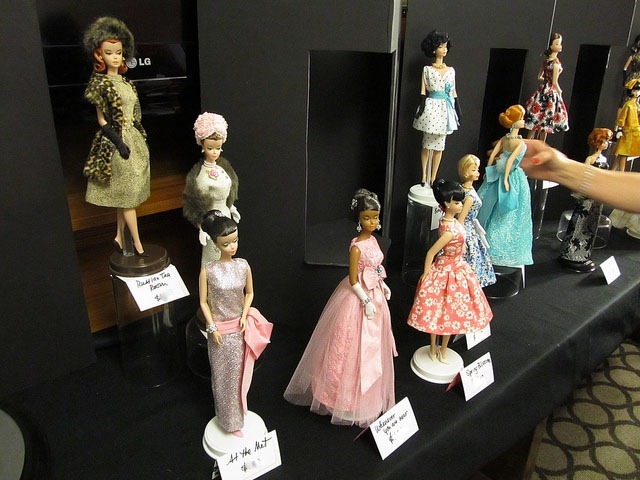 Generally, we Barbie collectors are a sociable and happy crowd and we LOVE to talk all things Barbie. It is amazing to me that I have friends from all over the world and I came to know them through this fabulous hobby and these conventions. 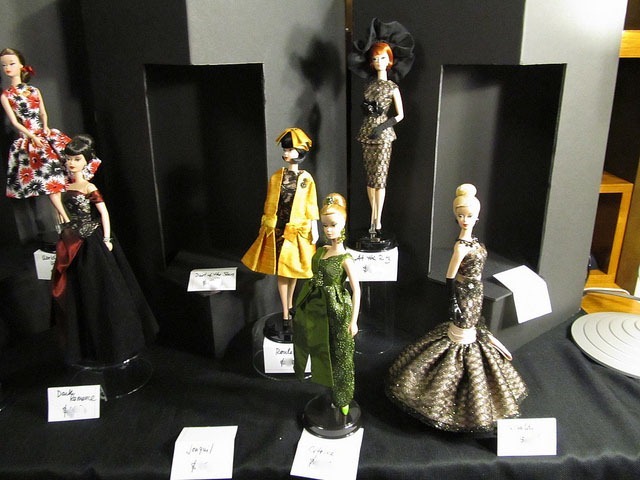 Barbie and the love of this hobby has done that. How cool is that?!! 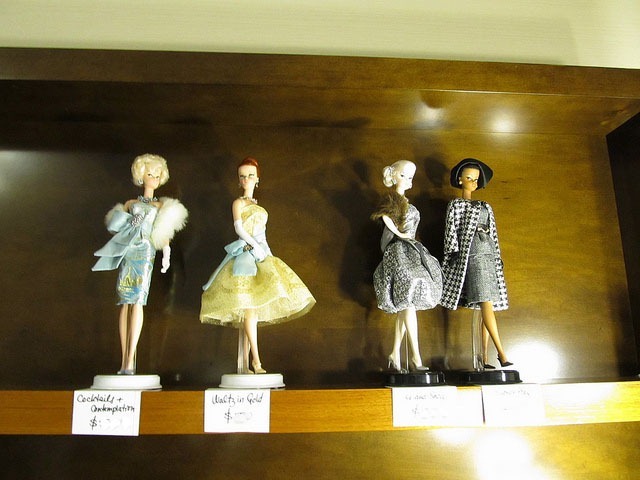 So….day two of room shopping was highlighted by a OOAK ( One of A Kind ) party by Matt Sutton and Matt Trujillo. 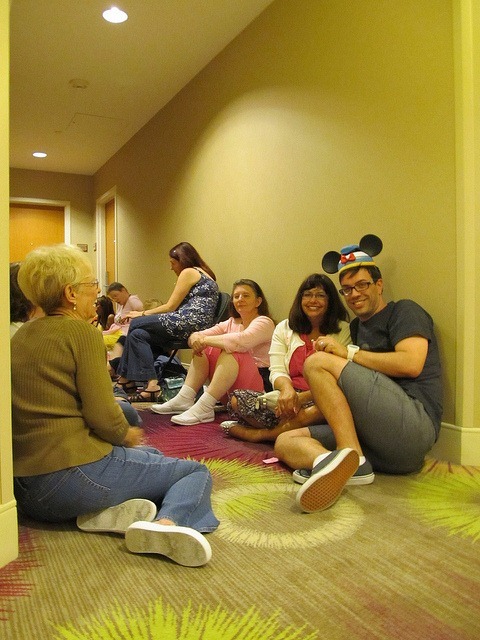 We lined up early for this one folks…about two hours before. 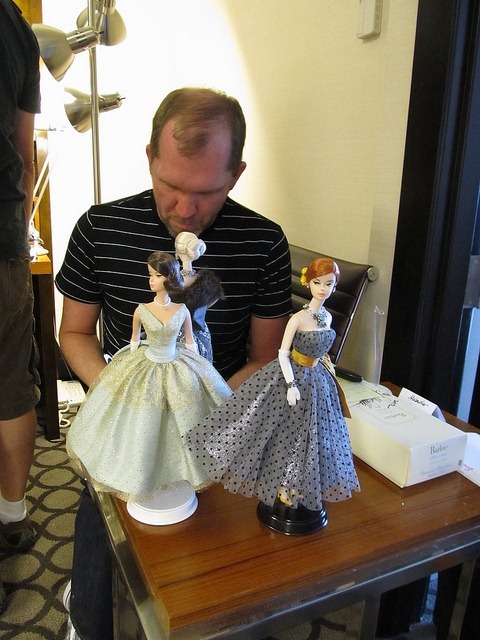 I think just waiting for the show and talking with my fellow collectors was one of the best parts of my day. 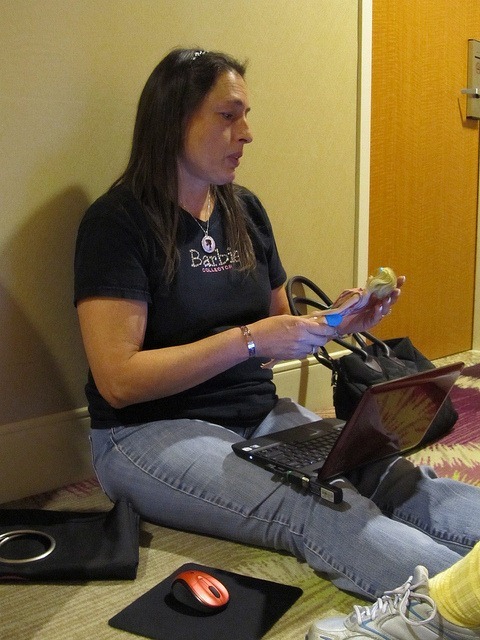 And a rare thing for me….someone took my picture! Thanks Deb! Now….time for the show. Matt certainly did not disappoint! He never fails to blow our socks off. This year, you took a number according to where you were in line and they let a few in at a time. No mad rush to get to the dolls. This made for a very enjoyable and wonderful selection and buying experience. After the fun of picking out a doll and purchasing ( some managed to snag two…yes Barb and Mary…I’m talking to you), we had our annual “ buy a Matt Sutton and go get a cocktail” meeting. This entry was posted on July 10, 2012 by raberry65. 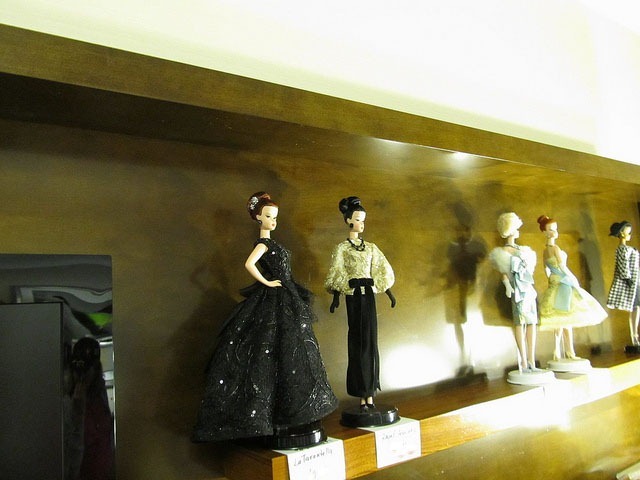 It was filed under NBDCC 2012 and was tagged with Barbie Convention, National Barbie Doll Collectors Convention 2012, NBDCC 2012. Wow! Fabulous Rebecca!!!! I knew you’d get a pink girl! Hehehe. I know right….a no brainer heehee. Wow! Fabulous Rebecca! I knew you’d get a pink girl!!! Thank you, so very much, Rebecca, for posting all these pictures. I don’t have a hope of ever getting to a convention, but this is a close second. I am glad you are enjoying the photos Lori. Gorgeous choice Rebecca! Can’t wait to see pics after you get her home! And it was SOO great chatting with you! We need to stop and have a drink together at FR. Definitely taking you up on the drink offer at FR! 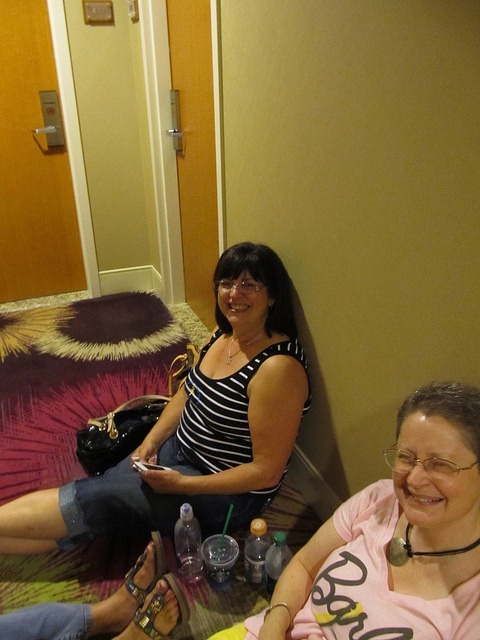 As I said on your blog, it was such an unexpected gift to see you and Laura at Barbiecon this year. I am glad you had a good time and that your busy schedule allowed you to spend some time with all of us. You got one of the best deals I have seen yet at this convention with your Vanessa. Score!